No matter the age a cold muscle is a cold muscle and it needs to be warmed up regardless, whether it’s your warm up sets to that big personal record (PR) bench, or pulling back and retracting those shoulders for a secure and steady shelf for the bar to lay on for squats, when not properly warmed up and performing on cold muscles, the less pliable you’ll be and can potentially cause pain, aggravate your joints, or God forbid get injured! 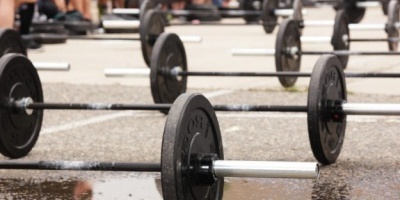 Listen to the old-school lifters sound advice…even just a bit of warming up goes a long way. Which brings us to the 45 degree hyperextension, Reg Park used a 45 degree hyperextension in his lifting routines and if it was good enough for him, then it’s definitely a viable option for us! This particular piece of equipment pre-dates the GHR (Glute Hamstring Roller), or GHD (Glute Hamstring Developer) by decades! It’s the true old-school piece, very simple (with only a few key movements), but extremely effective for both developing the erector spinae/lower back (glutes and hamstring to some degree too) and will keep you healthy and stronger for all movements (especially squats and deadlifts) and for those turned off by Good Mornings (due to their risk of strain to the lower back), then the 45 degree hyper is your best bud. 1. Pricing- One very attractive movement that is difficult to replicate, I didn’t want to spend a fortune on a commercial unit for home use. 2. 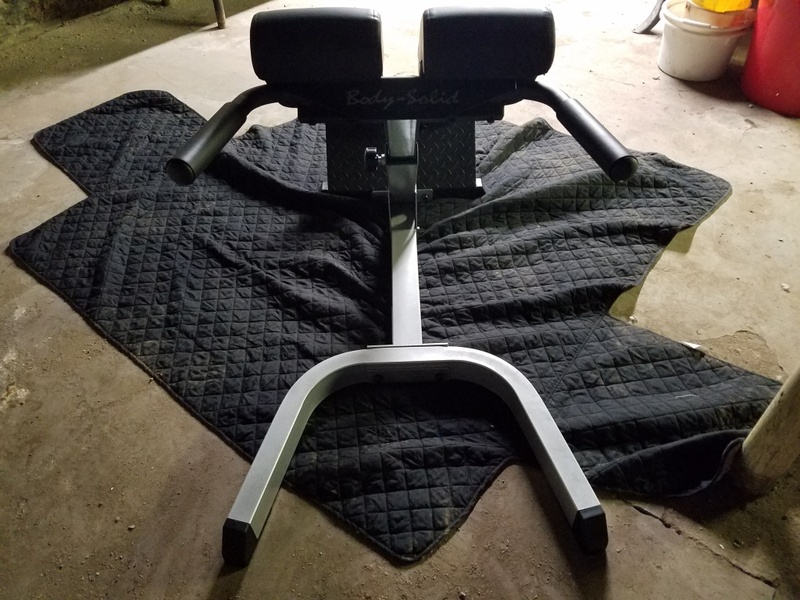 Bolt-together- As with every piece of equipment dimensions, or space is never a problem until it is…so primarily bolt-together bigger pieces are an ally in setting up certain types of equipment in a home gym. 3. 2X3 11 Gauge Steel- Both sturdy and stout just like my power rack. 4. Space and dimensions- Dimensions wise, this piece is very favorable (in my opinion) the length of the entire piece is 50″ and the width of the leg area is 26″ wide, 36″ in height (some commercial pieces were a massive footprint and welded, such as the Power-Lift 45 degree hyper). 5. 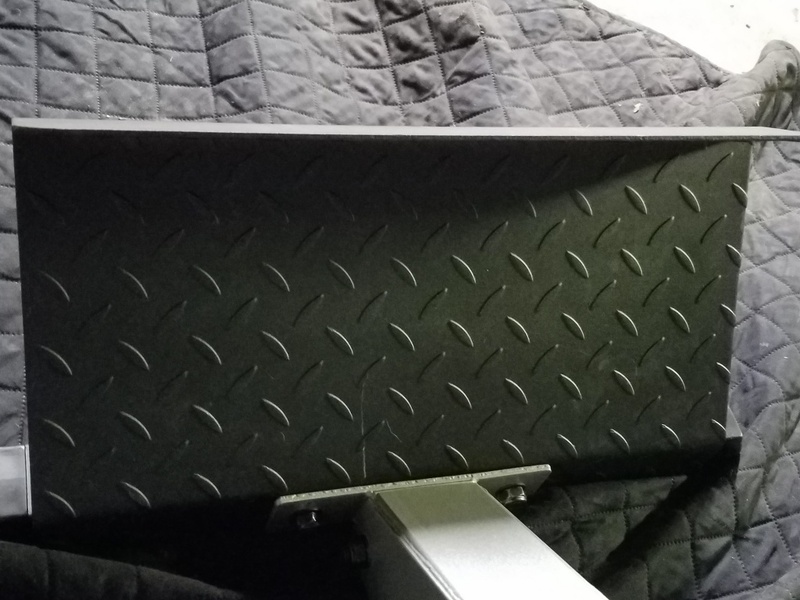 3″ Dura-Firm Pads- The pads on the Body-Solid are especially desirable due to the “Split-pad design” and if you’re a gentleman reading this part of the review you will immediately know why I mention and favor this design! Message to the ladies reading this…be good to your man and opt for the split-pad design, we’ll thank you for it! Hahaha. All of the above mentioned (and receiving it over the summer) I built it and the assembly was fairly easy and can be done with one person (although with some slight awkward angles an extra person to hold something in place is always cool too), I pounded the feet caps in last with a rubber mallet and they fit and popped right in. Weight- At about 70 lbs this piece is both heavy-duty and durable, yet can be picked up/dragged slightly as well (should you ever need to move it over elsewhere). Foot plate- This diamond foot plate is extremely well built and solid! 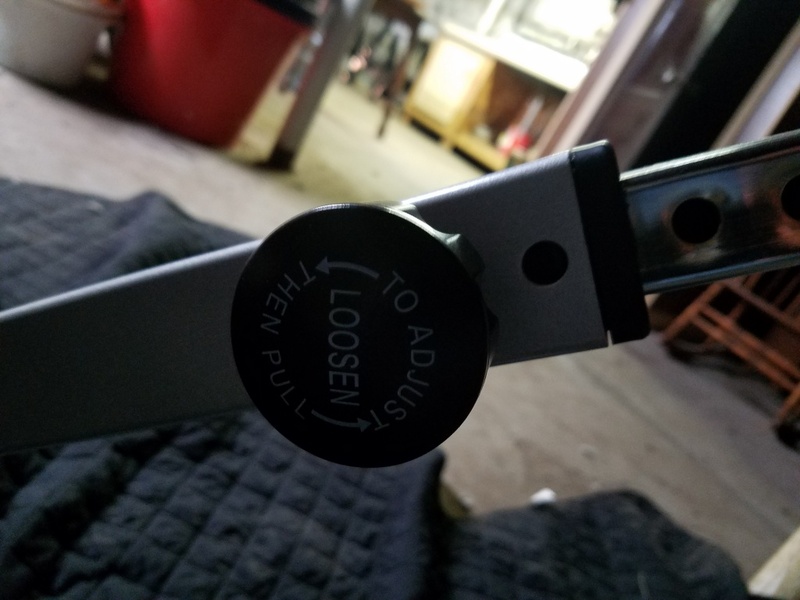 In fact this is one of the heftiest parts in the entire assembly (aside from the steel upright adjustment tube), very nicely wide and angled for optimal foot positioning and a grooved top so your heels stay in place and you can lock the hamstrings up nice and tight. Upholstery and padding- To add on to the above mentioned features, the material of this padding is very nice! (Almost reminds me of a vinyl type upholstery and has a smooth feel to it). The pads are thick and support well without feeling like their digging into you. Adjustment points- There are 12 adjustment holes and a pop-pin to lock into each desirable adjustment point. The pop-pin is a typical “right tight lock/left loose pull” design. A slight con is that it is a bit of a pain trying to find the hole on the inside and while adjusting it you gotta hear it, or feel it lock in (since you can’t see it lock in from the outside), but it’s fairly easy considering you’ll most likely have one personalized height point for yourself at home anyway and once it’s locked in this particular piece doesn’t really need to be adjusted to different heights often, if not at all. Handles- Perfect sizing to grasp and feel secure enough setting up for the movement(s) and the rubber material on the handles seems to be thick and durable enough to last. Paint- The paint on this piece (as I imagine is on other Body-Solid pieces as well) is a nice silver coat, along with the combination of black padding, handles, foot plate and rubber feet…aesthetics wise it’s pleasing to the eye and they also give you touch up paint (should you ever wanna maintenance it). 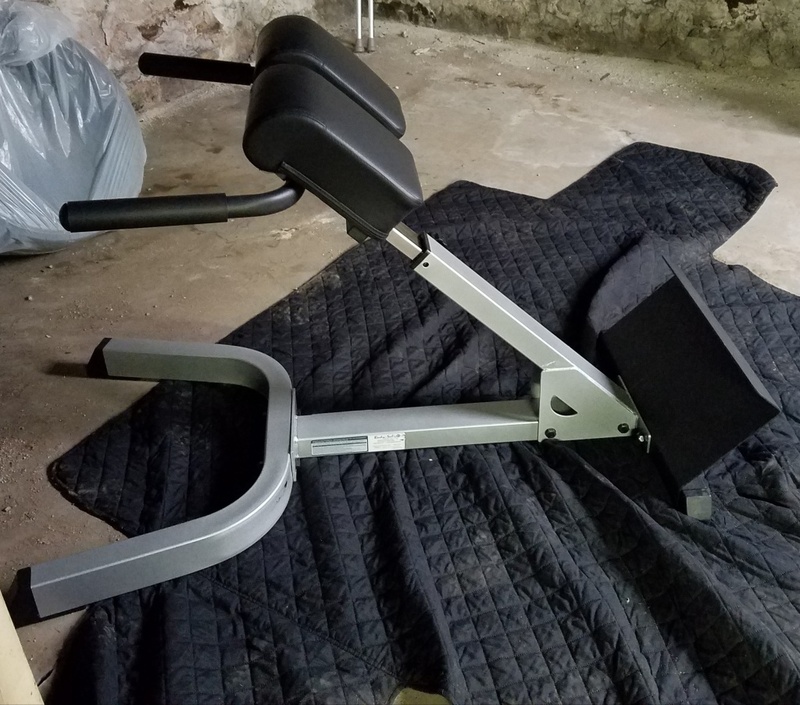 Working out on it- This thing is absolutely “Rock Solid” when I used it and did back extensions with it (and I weigh around 200 lbs), very minor flex and no stability issues at all (In fact I would do these weighted when I get better at the movement…either by grabbing a 45 lb plate, or with chains on my neck). In conclusion, it’s a nice little old-school piece which not only pumps oxygen rich blood to the lower back and posterior chain to keep them healthy and strong, but also is great for the aesthetics crowd to complete their physique. 1. Back extensions- The purpose of this piece, a great movement and to keep you strong and improve posture too! 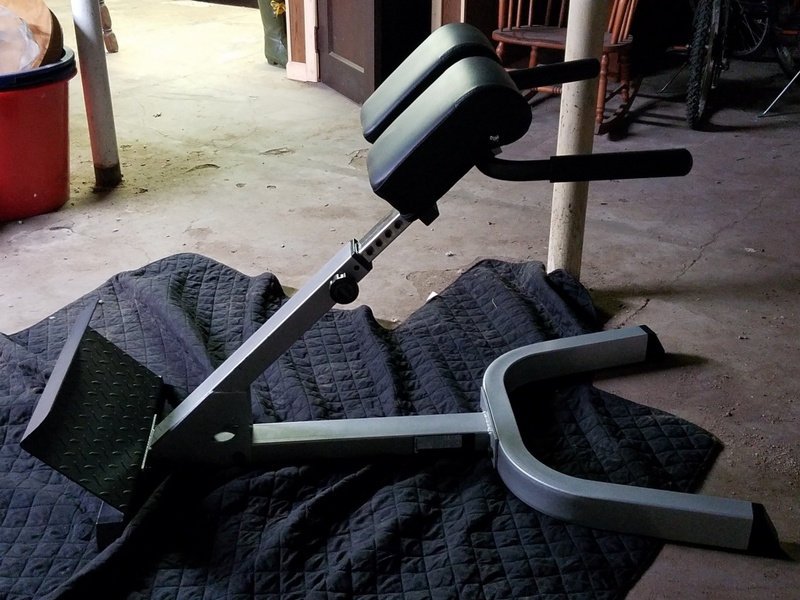 I recommend doing any work on this after your main lifts (so you don’t exhaust the low back on your main lifts and can rehab it after your main lifts), you can also add weight to it when it gets easier. I do around 3 sets of 12 to 15 reps with it currently. 2. Oblique crunches- This can be done on this piece, but it’s not really a movement I seek, but nice to have should I ever want to. 3. Dumbbell rear delt raises- Another great movement to keep the shoulders healthy and favorably externally rotated and at a good locked in position. 4. Dumbbell, or kettlebell angled rows- At a locked and comfortable 45 degree position, it’s yet another unique way to hit the back…sort of like a T-bar row angle, but done with dumbbells, or kettlebells in both hands (you can probably even do these unilaterally as well if you hold on to the handle with one arm and row with the other arm with weight in hand). 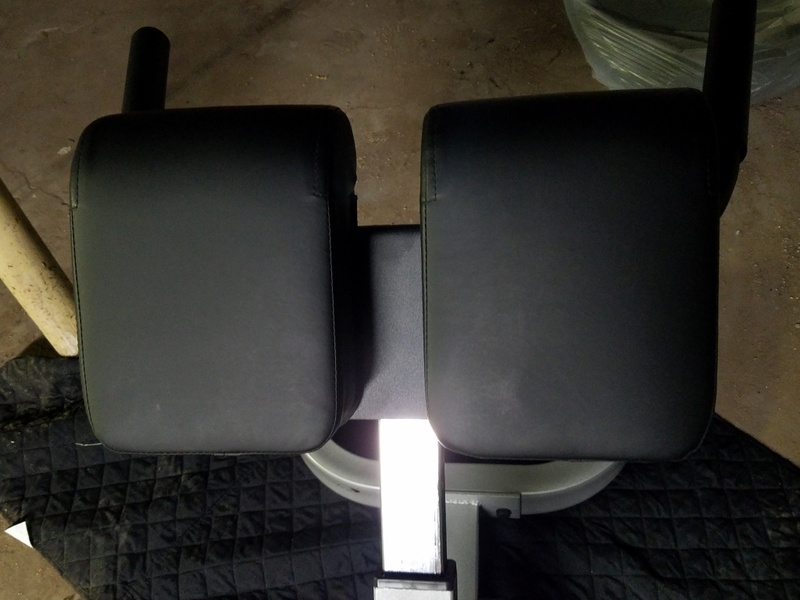 All in all, I find the Body-Solid Hyperextension to be a great piece for a very important and underrated muscle group that will aid you when incorporated into your lifting should you ever decide to get one and take it for a spin! Editor’s Note: You can get this unit at our store or on Amazon. 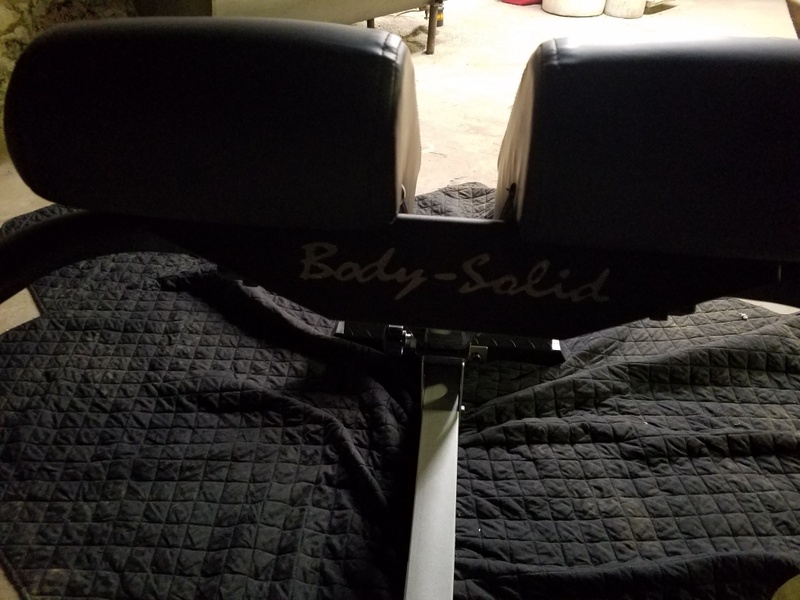 It’s under Body Solid’s pricing policy, so the online listed price is the same everywhere.